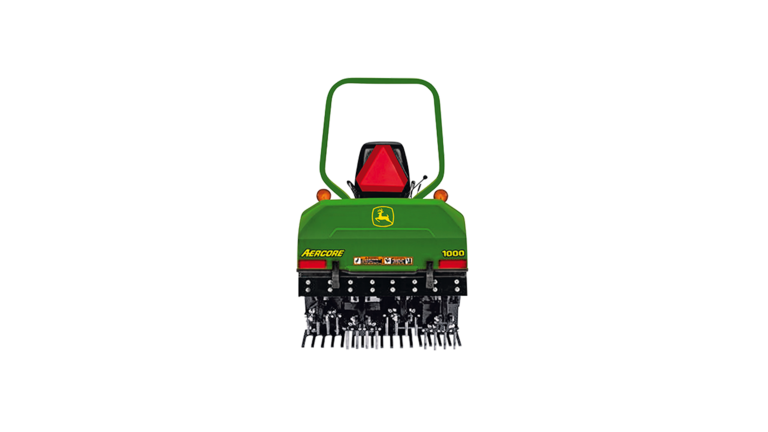 Brush aggressiveness and flotation is controlled by a 6-in (15.24 cm) diameter full width roller directly behind the rotary brush. 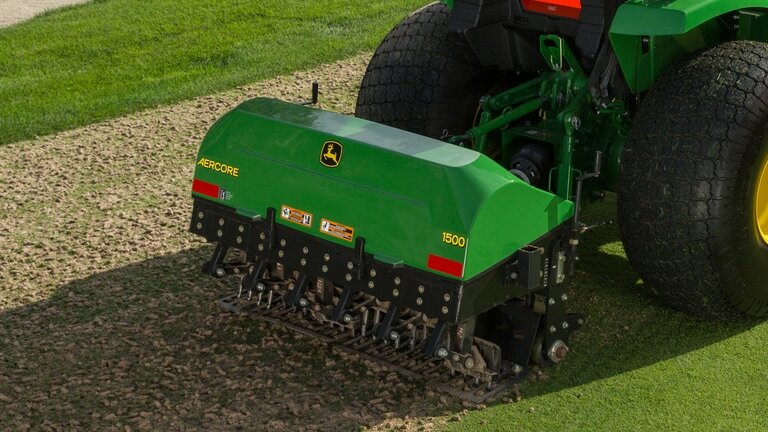 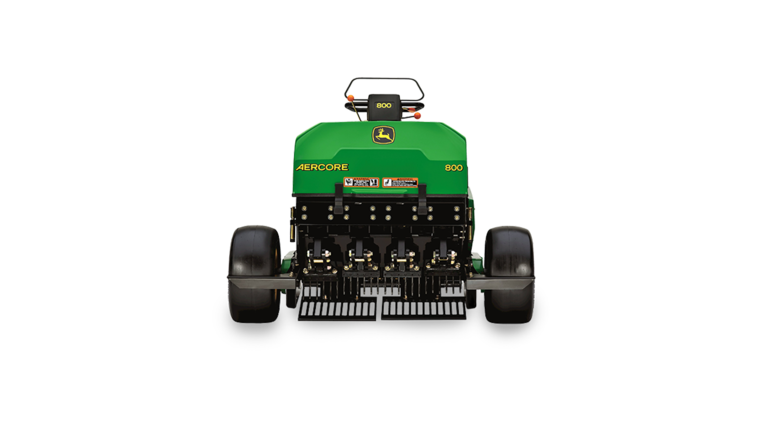 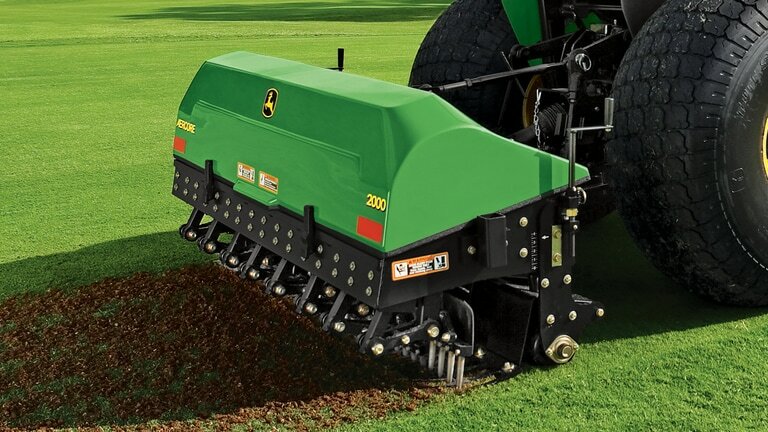 The roller height can be adjusted to accommodate the turf conditions and degree of brush wear. 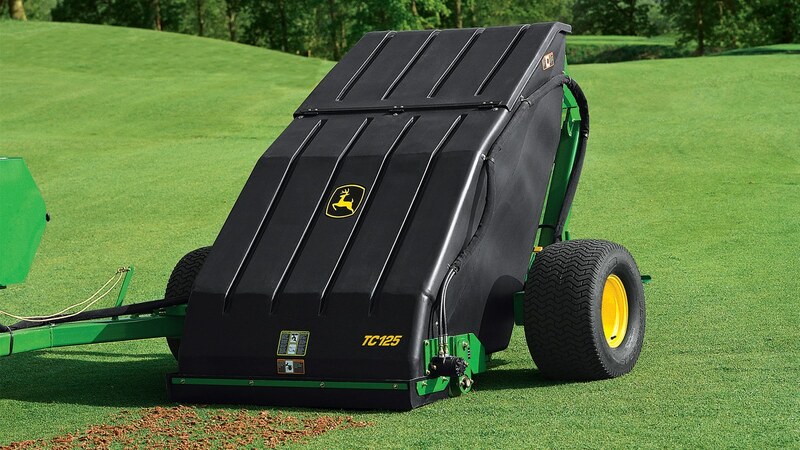 Allows the unit to be towed directly behind or offset to the left side of the vehicle. 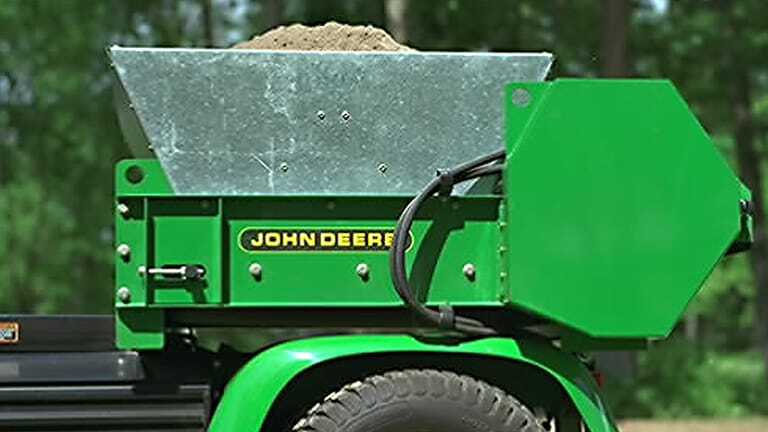 Easily performed while operator remains seated.